Will it be healthcare reformation, or healthcare deformation? That’s one way to frame the big question which has been on the minds of many Americans in the last several weeks. Well, you know me, I always try to address important, contemporary issues from the pulpit—even if they’re tough ones, so I prayed about it, and I told the Lord that I would deal with the topic of healthcare some Sunday in the future when he gave me the right Scripture readings to work with. Well, he did it today; the Lord provided me with a great set of Biblical texts to use in discussing the matter. So I will now fulfill my promise to him and talk about healthcare reform—but not from a political perspective (I’ll leave that to the pundits on the cable news channels). Rather, I’ll speak about it this morning from the perspective of Sacred Scripture and our Catholic faith. Let me begin by saying that I think most Americans are in agreement that our present healthcare system could use some improvement, although most Americans will also acknowledge that healthcare here in the United States is the best the world has to offer at the present time. And the proof of that is in the number of foreigners who come here for medical treatment. If they get seriously sick and are able to afford it, they make every effort to come to the good old U.S. of A. to get the surgery or therapy they need. So reform is necessary; it’s the nature of the reform that has many people concerned and upset. And I can’t say I blame them, either. Of course, they didn’t always do that. In fact, many of them were unfaithful to the commandments over and over again. But one thing the Israelites never did was to try to change the commandments of God. There’s no record in Scripture of anyone trying to officially nullify the 10 commandments that Moses delivered to the people on Mt. Sinai. But we have nullified the 10 commandments in our civil laws in recent decades, haven’t we? Or at least we’ve nullified some of them. For example, it’s now legal in America to kill the unborn; it’s legal to withhold food and water from a dying person. And it’s legal to do a lot of other immoral things. Right and wrong are no longer clear to us as a nation; consequently, right and wrong are no longer properly enshrined in our civil laws. Is it any wonder, therefore, that so many people don’t trust the government? Is it any wonder that they don’t trust their civil officials to do what’s right and to act in their best interests and in the best interests of their loved ones? Many of our civil leaders claim to believe in the word of God and claim to practice their Christian religion faithfully. But we know some of them don’t live by the policies and laws they support. That’s why there’s something within a lot of us that doesn’t trust them to act in the best interests of orphans and widows and others who need special assistance in our society. So the bottom line is that we need to be praying for the conversion and reform of all our citizens—especially our leaders—just as much as we should be working for the reform of our healthcare system. In fact, we will never have the second without the first; we will never have healthcare reform without the moral reform of our citizenry—even if the healthcare system that’s eventually signed into law is nearly perfect. If it’s being run by immoral people, it will never work. All that having been said, let me offer in conclusion some principles that should guide us as Catholics in evaluating the proposed legislation coming out of Congress. I’ll put these principles in question form. These are the questions we should ask before making the decision to support a particular reform plan. Is the principle of subsidiarity being respected in the plan? The Catholic Church believes in what’s called “the principle of subsidiarity,” which basically means that problems should always be addressed at the lowest possible level. And so the Church would say that you—in conjunction with your doctor, your family, and your priest or moral advisor—should be making your healthcare decisions. Those decisions should not be made by the state. Will the proposed healthcare plan force doctors to provide for or refer for procedures like abortion that they consider to be immoral? In other words, will doctors and other medical professionals be forced to violate their consciences if they want to avoid going to jail? If the answer to those questions is yes, then we definitely shouldn’t support the plan. Will Catholic hospitals be forced to provide medical services which are contrary to the Church’s moral teachings? If they will be, then we should not support the plan. Will the proposed healthcare plan use tax dollars to fund abortions? If so, we should not support it. Will the proposed healthcare plan harm or destroy businesses—especially small businesses—and the economy? Will the poor really be helped and have better access to quality healthcare because of the plan? Will more of those who are currently uninsured have a chance to purchase affordable insurance because of the plan? I began my homily with the question: Will it be healthcare reformation, or healthcare deformation? Let’s pray that our civil leaders will be guided by the grace of God in the upcoming weeks and honor these 10 important principles, so that our healthcare system will be reformed and not deformed. It’s Easy to Walk Away From Jesus; It’s Sometimes Hard to Come Back. The rich young man did it when Jesus challenged him to give up his possessions and follow him. The apostles did it when Jesus was arrested in the Garden of Gethsemane on Holy Thursday night. Many of Jesus’ other followers did it at the end of the Bread of Life Discourse in John, chapter 6—after our Lord told them that he would nourish them with his own Body and Blood in the Holy Eucharist. They found this teaching “hard” and difficult to accept—as we heard a few moments ago. And what was the “it” that all these people did? They walked away from Jesus. They walked away from him physically (in the case of the apostles on Holy Thursday they probably RAN away! ); but they also walked away from Jesus Christ in their hearts—which was even worse. What does it take for us to walk away from Jesus? Sometimes it doesn’t take much, does it? I was reminded of this two weeks ago when I came across an article on MLB.com about Josh Hamilton, the outfielder for the Texas Rangers who inspired so many people last year with his incredible performance in the Home Run Derby contest at the All Star Game—and, more importantly, with the way he had turned his personal life around. In 1999 Josh was the number 1 draft pick of the then-Tampa Bay Devil Rays, but he soon became addicted to alcohol and cocaine while playing in the Devil Rays minor league system. He was in and out of rehab several times, and many thought his pro-baseball career was finished. What saved him—literally—was his faith in Jesus Christ. And then came that night last January in Arizona, which was the subject of the MLB article I read online the other day. Josh was at a sports training facility for the month, working out and trying to get in shape before the start of the 2009 baseball season, and he decided one evening to have a drink with dinner. A fatal mistake for an alcoholic. Well, a dozen or so drinks later, he was doing things in the bar that he definitely should not have been doing—much of which was captured by a photographer, who recently posted the pictures on the internet (of course!). To his credit, Josh admitted his wrongdoing to his wife the next day. He also called the general manager of the Rangers to tell him what happened. And he says he hasn’t had a drink since. For Josh Hamilton, all it took was a few days without prayer and one little drink at an Arizona bar to get him to walk away from Jesus. For the rich young man, all it took was a personal challenge from Jesus regarding his materialism. For the crowds in John 6, all it took was a challenging sermon from Jesus on the reality of the Holy Eucharist. For us, all it might take is a temptation to go somewhere we shouldn’t on the internet, or a little peer pressure from friends or coworkers or even family members: peer pressure to do things contrary to the teachings of our Catholic faith. And they did—until the next big temptation came their way. Even if our faith is relatively strong, walking away from Jesus can happen in an instant. Peter didn’t completely understand the teaching Jesus had just given on the Eucharist, but he knew that if Jesus said it, it had to be true. He had faith in our Lord—and that was great. But that didn’t keep him from walking away later on, did it? It is extremely easy to walk away. And very often it’s just as hard to come back, because it requires humility. If we’ve missed Sunday or holyday Masses without good reason, hated our neighbor, committed some serious sin of the flesh or some other mortal sin, today is a day for us to pray for a humble heart. But even if we’ve only walked away from Jesus in small ways, we should pray for the same grace of humility, so that we learn to make Confession a regular part of our spiritual life—and so that we don’t slip into something more serious. Peter and all the other apostles (except Judas) eventually came back to Jesus after they walked away. 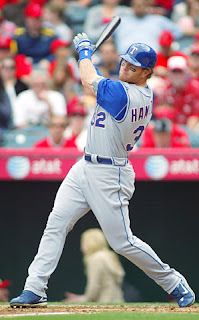 Josh Hamilton, thanks be to God, came back to Jesus in January after he walked away. Hopefully some of the people who heard this Bread of Life Discourse 2,000 years ago eventually had a change of heart and came back to Jesus after they walked away. May we have the good sense—and humility—to do the same thing whenever we need to by making a good and honest Confession. The Sacrament of Reconciliation brings us back—even if we’ve been far away from Jesus for a very long time. And if you need any further encouragement to go to Confession regularly remember this: A saint is not someone who never walked away from Jesus Christ in his life. Just ask Peter about that! In fact, some of the men and women who eventually became canonized saints in the Church walked away from Jesus many times. But every saint came back to Jesus Christ our Lord and Savior one more time than he walked away. Which means there’s hope for all of us. If I don’t understand it, it can’t be true. That’s a variation of what is sometimes called “the argument from ignorance”—and it’s a very bad way to try to make a point or win a debate with someone, because it’s logically fallacious. Thankfully most people, even if they’ve never taken a course in Logic, know this is a faulty way to come to a conclusion. Just because I don’t understand something, doesn’t mean that it isn’t true. I may not understand Einstein’s theory of relativity, but my inability to understand it does not make it false. The same is true of the formulas of calculus. I may not understand them (although I once did, when I took calculus in high school); but my inability to remember what they signify does not mean they’re false. And so it is with the other example I gave, and with the many others we could all think of. So what’s your point, Fr. Ray? My point is this: In almost every area of life, the argument from ignorance is not considered acceptable, and if someone tries to use it—by making statements like the ones I just quoted to you—that person is immediately challenged and the mistake is pointed out. Notice I said “in almost every area of life.” I said that because in our modern American culture the argument from ignorance is used all the time with public approval in at least one very important area of life: in matters of faith. People—even highly educated people—say these kinds of things all the time. And they’re regularly praised in the media and in other places for being highly intelligent and insightful! When, in truth, they are simply people who are using very bad logic. The argument from ignorance is used quite often by non-believers with respect to the Trinity and the Incarnation and miracles and a lot of the Church’s moral teachings. But, to some extent, this is to be expected, since these non-believers lack the gift of faith. The real tragedy is that, when it comes to the Holy Eucharist—the sacrament of the Lord’s own Body and Blood—this argument from ignorance is sometimes used by baptized and confirmed Catholics who do not accept the Church’s teaching on the Blessed Sacrament! Of course, as sad as this is, it really shouldn’t surprise us, because when Jesus Christ taught the crowds about the Eucharist 2,000 years ago, some of the Jews who heard him responded in the very same way—by using the argument from ignorance! That’s clear from today’s gospel reading. The thing is, my brothers and sisters, when it comes to the Eucharist—as with many other aspects of our faith—we will never have a complete understanding on this side of the grave. We can understand some aspects of it—that’s true—but to a great extent it will always remain a mystery. For example, the Church, under the guidance of the Holy Spirit, describes the change that takes place at the consecration of the Mass as “transubstantiation”—in other words, the “substance” (or “inner reality”) of the bread changes and the substance of the wine changes, and they become the Body and Blood of Christ; however, the “accidents” (or “physical properties”) of both remain the same. But even though this description helps us to understand how the Eucharist can still look like ordinary bread and wine after the consecration and yet be something else, it does not remove the mystery entirely. 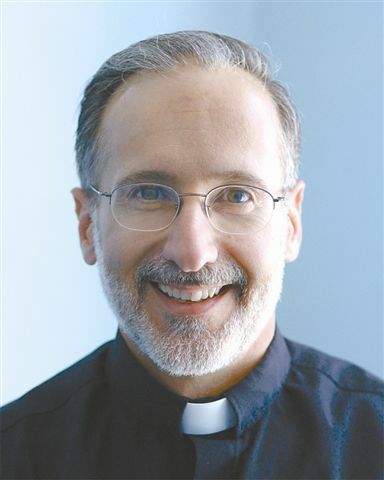 I share all this with you today in my homily for two reasons. Number one, to warn you about the argument from ignorance, so that it doesn’t undermine your faith in the Eucharist, or the Trinity, or some other essential teaching of your Catholicism. And secondly, I share it so that you can be aware of this fallacy in your conversations with people you meet who would like to discredit or undermine your Catholic beliefs. If they try to use it, you can challenge them and point out their mistake. When it comes to the Eucharist, incidentally, there has been at least one notable unbeliever in history who never made the mistake of embracing the argument from ignorance. I’ve read in a number of places that Einstein was fascinated by the Catholic Church’s teaching on the Blessed Sacrament. Many people are not aware of this. He was intrigued by the idea of a substance that you can’t see; a substance that has no shape or size or color. He once even asked a priest—a Fr. Charles McTague—to send him any books in German that McTague could find for him on the Holy Eucharist, because he wanted to learn more about it. 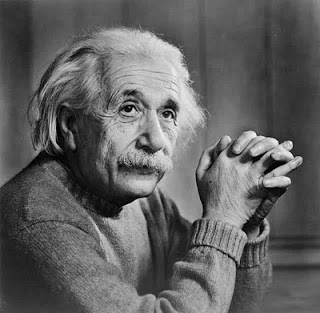 Einstein was not a Catholic, he was not a Christian, and he did not understand the Church’s teaching on the Holy Eucharist (at least not initially). After Mass the priest complained to his deacon about the heckler, and the deacon told him about the mistake he had made in the homily. The miracle of the loaves and fish is one of the best known in all of Scripture. Here at St. Pius we have it portrayed beautifully in one of our stained glass windows. But why did Jesus do it—aside from the fact that he loved these people and didn’t want them to go away hungry? That, I think, is a key question, since Jesus never did anything without a good reason. According to St. John, after the people had been fed this miraculous meal, Jesus and his disciples left the area, eventually ending up in Capernaum, on the other side of the Sea of Galilee. The people—or at least many of them—followed. When they finally tracked the Lord down, they asked him when he had gotten there. From those two sentences, from those two short verses, we can figure out why Jesus performed this miracle. Simply put, he did it as a means to an end. He gave the people a miraculous meal of natural food to prepare them to accept his teaching on another miraculous meal involving supernatural food, the Holy Eucharist. In fact, the rest of this chapter of Scripture contains what scholars call “the Bread of Life Discourse,” which is the most detailed teaching on the Eucharist in the entire New Testament. But, sadly, the people didn’t get the point; they didn’t get the message. They wanted Jesus—yes—but not because they wanted to hear the truth he would proclaim to them about the Eucharist and about the path to eternal life; they wanted Jesus because they were looking for another free dinner! Their attitude was wrong; their spiritual motives in going to Jesus were not what they should have been. Do you remember all the people who came to church in the weeks following the terrorist attacks of September 11, 2001? Where were most of them 2 months later? Apparently they had received the “meal” they wanted from Jesus—the meal of his consolation and strength—and then they decided they didn’t need him anymore. But it goes beyond our attendance at Mass. Think of why you go to God at other times of your life. When, for example, do you really pray with devotion? When do you think of God during the course of your day? Is it only when you’re in trouble? Is it only when you’re aware of the fact that you need something? Is it only when you’re down or confused and want some “good feelings”? If all you want is a good feeling, you will be greatly disappointed in your spiritual life, because there are many moments when God allows us to experience bad feelings for a good purpose: so that we will change our lives for the better! Not long ago I made a hurtful remark to somebody—a remark I should not have made—and when I left the person’s presence I got a very bad feeling, which was actually a very good thing! So I went back to apologize. We had a nice talk a few days later, and renewed a friendship. In retrospect, I thank God he gave me that bad feeling, or I might not have gone back. One of the mistakes many young people make after attending the Steubenville East Youth Conference each year is that they confuse the presence of the Holy Spirit with “good feelings,” because God in his great love often gives them good feelings during the conference. Well, remember, the same Holy Spirit who can fill us with peace and joy will also at times convict us of our sins—as he convicted me the other day. This, incidentally, is why some people get uncomfortable during homilies that “hit home.” They often blame the preacher, but it’s usually not the preacher. If you’re being convicted of sin, it’s the Holy Spirit’s “fault”! So blame him! Better yet, take the message of the Spirit to heart, repent, get to confession if you need to, make amends, and move on with your life. The interesting thing is, you’ll probably end up getting some very “good feelings” if you do! And that inner joy WILL be a gift and work of the Holy Spirit! Such is the generosity of our God. But the bottom line is this: we should go to the Lord every day, not to get good feelings, but first and foremost to give him the praise that he deserves; to give him the thanks that he deserves; to express our love for him and our desire to do his will in our daily lives; to express sorrow and repentance for our sins—and then to ask him for what we need.